It's that time again. Are you ready for a new sketch? This month I really enjoyed my sketch and I am hoping that it works for you guys too. 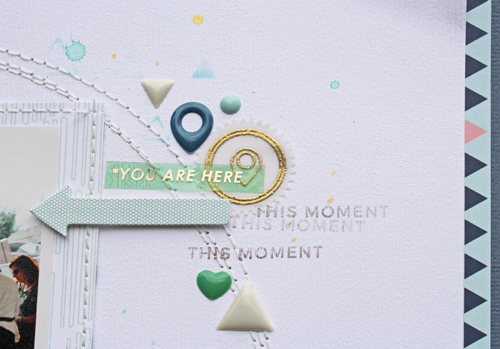 Also hop on over to the Scraptastic Club Blog to see what our designers did with it. I am amazed every month at how different everyone uses it. 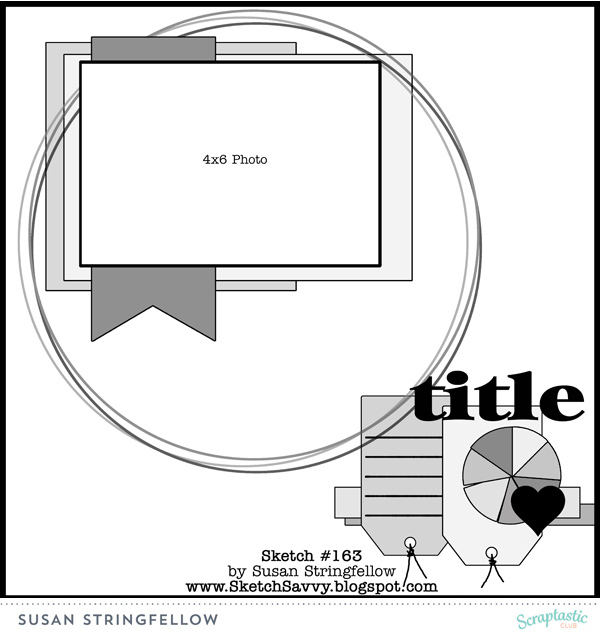 This month it has one 4x6" photo but you can easily make it work for a 5x7, two smaller photos or even 2 4x6's if you cover up a bit more of the white space. Also think of flipping it or rotating it. For my example I used the March Drops of Jupiter Kit, Add on Kit, and Stamp set and I used the sketch pretty much as is. 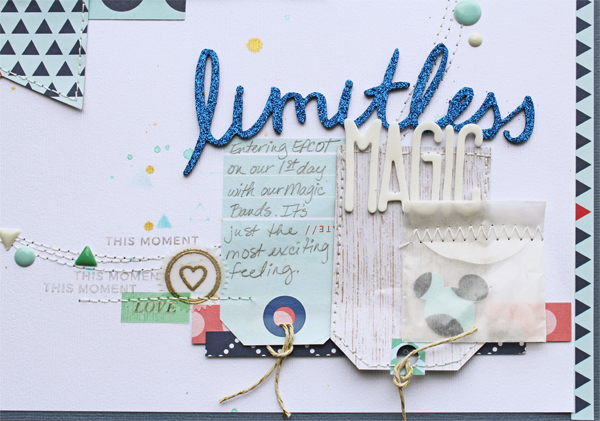 I just had to work this Scraptastic exclusive "limitless" splarkly title into my title. I know my photos today aren't great because it was cloudy out but hopefully you can see how pretty it is in person. I stamped and embossed the little icons with sparkly gold embossing powder on vellum and punched them out.